Stevens, M.M.J. (2015). 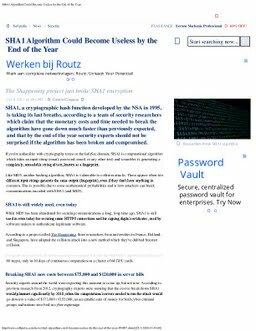 SHA1 Algorithm Could Become Useless by the End of the Year - Softpedia.